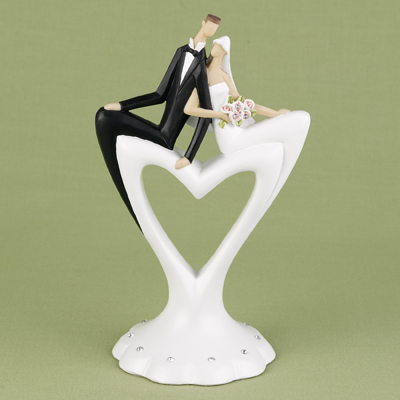 A contemporary bride and groom perch at the top of this heart-shaped resin cake top for a unique presentation. Crystal accents decorate the base. 6 1/4" tall. Price is per modern couple cake top.